before and after breast augmentation with Dr David Sharp: to achieve this patient’s desired result, Dr Sharp used round cohesive gel implants with a dual plane placement and short incision. Patients seeking any aesthetic beautifying surgery can envisage their new bodies in a 3D web-based virtual preview. The procedure involves implants - usually silicone - being inserted beneath the breast muscle, or sometimes, above the muscle (see above, right). The objective of this procedure is to increase the size of your breasts, or restore breast volume that has been lost after weight reduction or pregnancy. Dr Sharp performs this surgery under general anaesthetic, usually as a day procedure. In some cases, an overnight stay is required. Every surgeon differs slightly in their approach to breast augmentation surgery; from the surgical technique and preferred implant type, through to their post operative recommendations. Please click on the topics below for more information about Dr David Sharp’s approach to breast augmentation surgery. Scroll down to read more about breast augmentation surgery with Dr Sharp, after the image gallery. before and after breast augmentation with Dr David Sharp: this patient had anatomical cohesive gel implants placed under the muscle to provide feminine, natural curves that complemented her active lifestyle. before and after breast augmentation with Dr David Sharp: this patient wanted to replace lost volume with a naturally full look, using anatomical cohesive gel implants placed under the muscle. before and after breast augmentation with Dr David Sharp: anatomical cohesive gel implants were placed under the muscle to provide natural curves that sit in harmony with this patient’s toned physique. 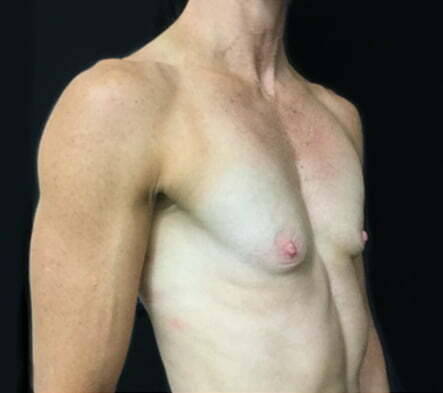 before and after breast augmentation with Dr David Sharp: anatomical cohesive gel implants placed under the muscle to improve chest wall deformity. 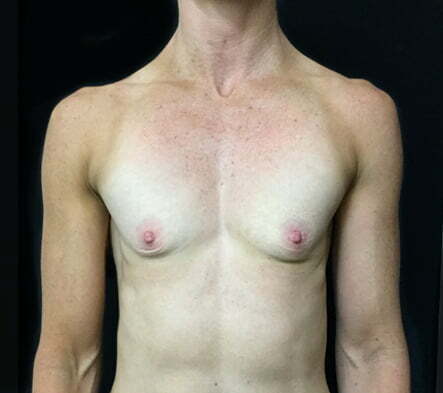 before and after breast augmentation with Dr David Sharp: this patient experienced depletion in breast tissue after significant weight loss and breastfeeding. Her abdominoplasty and breast augmentation surgery were performed at the same time, using high profile round cohesive gel implants placed under the muscle. Breast augmentation can enhance your appearance and your self-confidence, but it won’t necessarily change your looks to match your ideal, or cause other people to treat you differently. Before you decide to have surgery, think carefully about your expectations and discuss them with Dr Sharp. Breast augmentation is a highly individualised procedure and may not be suitable for everyone. Breast augmentation results are often portrayed as oversized, sexualised depictions of reality. Most of Dr Sharp’s patients are average-sized women who are simply seeking proportion, natural balance and shape. Dr Sharp focuses strongly on achieving a natural, beautiful look. External pressures from the media, partners or friends can influence how men and women view their bodies. Dr Sharp doesn’t support his patients having surgery for the sake of conforming or meeting anyone else’s expectations. If you aren’t doing it for yourself, reconsider having surgery at this point in your life. Anatomical (or tear drop) breast implants main characteristics is a flatter upper breast pole and a fuller lower breast curve. An appearance that usually is associated with a youthful natural-looking female breast appearance. Breast augmentation is best performed under a general anaesthetic with a specialist anaesthetist, meaning you will be completely asleep and feel nothing during surgery. Incisions are made in inconspicuous areas to minimize visible scarring. Incisions vary based on the type of breast implant, degree of enlargement desired, your particular anatomy and patient-surgeon preference. Potential incisions sites include, peri-areolar, transaxillary and inframammary incision. Scars are an inevitable part of surgery, however Dr Sharp places them along natural skin lines and creases to make them as discreet as possible. Dr Sharp and your post operative support nurse will endeavour to minimise scarring and to keep your scars as inconspicuous as possible. Scars heal better when you follow your post operative instructions strictly, and maintain a healthy lifestyle. Scars may fade with time and become barely noticeable. Dr Sharp and his team offer a unique pre and post operative skin optimisation program that supports you in maintaining healthy skin quality throughout, and after, your breast augmentation journey, to help reducing long term scarring. If you have concerns about scarring, please discuss this with Dr Sharp or your support nurse. Immediately after your surgery, you will be taken into a recovery area to be closely monitored following surgery. Dr Sharp will put your support bra on during the surgery, so this will be in place when you wake up, helping to minimise swelling and support the breasts as they heal. Depending on your specific case, you may have drains in place after your procedure. These are very small tubes, which drain excess blood into a canister. Most patients have this procedure as a day case, meaning they go home a few hours after surgery. If you have drains in place, your post operative nurse will check on these within 48 hours after your surgery, and remove them when indicated. During this time, you will have support of our post operative care nurse, who is available to take your calls 24/7, should you have any concerns. Breast augmentation results are immediately visible. Over time, post-surgical swelling will subside and incision lines will fade. Satisfaction with your new image should continue to grow as you fully recover from surgery. It’s important to know that breast implants are not designed to last a lifetime. Your implants may need to be replaced. You should plan for an annual examination by Dr Sharp to evaluate your breast health and implant integrity. If you have any concerns regarding your breast augmentation results, don’t hesitate to call us on 3202 4744. Despite being a very safe and common procedure, breast augmentation changes your body forever. Unfortunately, due to lack of regulations in Australia, many doctors who perform breast augmentation surgery are not qualified plastic surgeons, and patients are not aware of the differences between a RACS qualified surgeon, and someone who has only completed medical school and wants to operate on people. Dr David Sharp is a qualified plastic surgeon with a special interest in reconstructive and cosmetic plastic surgery. His personalised approach means that you receive plenty of pre operative time with him to discuss your specific body goals and any questions. It’s normal to feel both nervous, and an excited sense of anticipation when planning your breast augmentation. Dr Sharp takes the time to ensure you have as many consultations as you require, to ensure your treatment is customised to suit your body and expectations – and address any concerns you may have. Breast augmentation can be safely performed before you have children, and is not considered to affect breastfeeding in most cases as Dr Sharp uses an incision and implant placement that does not damage the mammary ducts. However, pregnancy will cause significant changes in your breasts, and if you have had a breast augmentation prior to having children, you may find that your results are different afterwards. For some women, this results in a more softer, natural post-augmentation result. For others, a repeat breast augmentation is required, and the cost of this should be considered before undertaking primary breast augmentation before having children. If you are planning future pregnancies, speak to Dr Sharp about the pros and cons of proceeding, or delaying, surgery. Do breast augmentations remove stretch marks? A breast augmentation does not correct stretch marks. Dr Sharp’s clinic offers a range of safe, skin therapies that have been scientifically proven to reduce stretch marks – without surgery, needles or down time. If you are concerned about stretch marks, call 3202 4744. Breast augmentations are performed under a full general anaesthetic. A specifically selected range of medications are administered during the surgery to ensure your post-operative comfort. Dr Sharp works with an experienced team of anaesthetists in safe, accredited facilities. Dr Sharp often performs breast augmentation surgery alongside abdominoplasty and/or liposuction. He also performs breast augmentation and lift surgery. Advantages of combining procedures include the aesthetic benefit of having a ‘total’ result as well as possible cost advantages. These combined procedures are often popular amongst women who have finished having children and wish to lift sagging breasts, replace lost volume, remove excess stomach skin or repair rectus divarication. Click here to find out more. Depending on your work, you could need to take up to a month off work, although many people return to work, particularly if it involves sedentary activity, after 1-2 weeks. You should avoid strenuous activity for up to six weeks after a breast augmentation. After this time, gently and slowly reintroduce heavier lifting and activities, being cautious to avoid pulling/tearing or painful sensations. How much do breast augmentations cost? Breast augmentation for cosmetic reasons is not covered by most private health insurers. However, in some cases - such as post-mastectomy - this procedure is classified as reconstructive, and therefore has a Medicare item number. If so, you will be eligible to claim a rebate from Medicare, as well as your private health fund. It is important to understand that, in the case of complications or revision surgery, the cost of your breast augmentation might extend to future surgical procedures and hospitalisations. We encourage patients to think about how they would fund further treatment beyond the immediate costs expected. What’s the difference between ‘form stable’, ‘gummy bear’ or ‘cohesive gel’ implants? Which breast implant size, type and profile is right for me? The best age for breast augmentation surgery; how young is too young? What is a dermal matrix and how is it used in breast augmentation and reconstruction surgery? How do I know if my breast augmentation doctor is a qualified surgeon? Does weight gain or loss impact my breast augmentation results? What is BIA-ALCL and can breast augmentation surgery cause cancer? What is a Keller funnel and how does it make breast augmentations safer? Can I have fat taken off my stomach and used to augment my breasts?